Eugene Ballet Academy strives to cater to new and current students with a variety of classes for all levels of experience. The following is a list of current Academy classes and descriptions. This class exposes the young child to the art of creative dance in a nurturing and inspiring environment. Spatial awareness, movement comfort, basic rhythm, coordination and locomotor skills are developed. Instilling a love and an appreciation for the art of dance, this class lays the foundation for the development of the future ballerina and danseur. Basic ballet vocabulary is introduced and strength, flexibility and musicality as it relates to classical ballet technique are developed. Traditional classical ballet, with influences of English and Russian methods, is taught. The training follows a sound curriculum that guides the dancer through a methodical process of technical advancement. The student develops strength, flexibility and movement quality with attention to correct body placement, and the development of line and grace as demanded by the classical discipline. Pointe work is added to the curriculum and emphasis is placed on the development of strength, speed and proficiency of battierie, pirouettes, ballone and preparation on a professional level. Classical Studies draws from the tradition of classical ballet and it’s trajectory into the current ballet climate. Focus is placed on dance history, classical repertoire (variations), current ballet repertoire, and composition. This course is a lecture/movement format where students will learn through both lectures and movement workshops. Partnering class is designed to help dancers learn the art and skill of partnering. Co-taught by a female/male professional pair, this class teaches essential partnering techniques and skills for both male and female dancers. This class is uniquely structured, as it incorporates one-on-one instruction from experienced professional male dancers from Eugene Ballet Company. Within each session, students will also learn a variety of partnering repertoire to support the development of dance vocabulary and repertory. 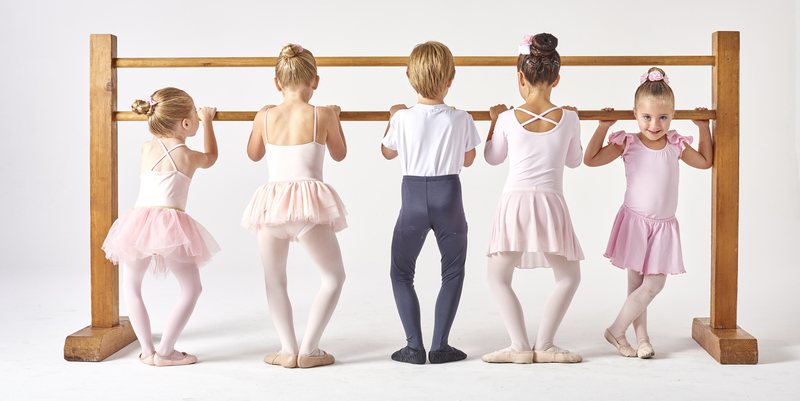 Beginning/Intermediate level Ballet, ages 9+. The curriculum is designed as a supplement to ballet technique, focusing on the specific needs of the male danseur. This energetic class focuses on virtuoso technique, jumps, turns, and building strength, endurance and flexibility. Students strengthen and lengthen muscles while improving alignment. Exercises performed on the floor increase body awareness, flexibility, and strengthen core muscles. Modern technique classes focus on developing fundamentals, including asymmetry of the body, moving off-center, working with internal rotation, movement of the spine in all planes, yielding to gravity, floor work and inversions. This modern class explores concepts of improvisation, partnering (contact improvisation), composition, somatics, conditioning and performance theory. Jazz/Tap Combination classes classes are designed to stimulate the young child’s interest in dance by offering a diversified experience. Students are exposed to the styles of jazz and tap and are taught basic technique and choreography in both disciplines. This class develops a wide range of skills including rhythm, coordination, movement comfort, spatial awareness and flexibility. Upper division jazz classes follow a specific curriculum designed to achieve mastery of complex rhythms and patterns and support the development of a well- rounded dancer. Students are exposed to various styles of jazz from traditional to contemporary. Class curriculum is based on a foundation of ballet technique and incorporates traditional jazz movement. Class follows a structured format, including warm-up, stretches, isolations, across-the-floor progressions and combinations. As student’s progress through each level, the curriculum becomes increasingly complex and intricate. Lyrical Jazz is designed for intermediate to advanced students with previous training in ballet and jazz. Combining dance techniques from ballet and modern, this class provides students with an exploration in partnering, weight sharing, floor work and basic tumbling exercises. This style of jazz dance utilizes the lyrical structure of the music to create interpretive dance with movement that can be fluid or abstract. Contemporary dance is a mix of classical ballet, modern, and jazz dance. This class is designed for the younger student interested in expanding their versatility and experience in the contemporary dance style. The class incorporates the concepts and esthetic lines of classical ballet, the contract-release, floor work, fall and recovery, and improvisation characteristics of modern dance and the varying musical rhythms and styles of jazz. Fancy Feet is a beginning level tap class designed to teach students ages 8–10 basic tap skills. Fundamental tap techniques, terminology, combinations and choreography are taught in a fun and stimulating environment. This class supports the student’s development of rhythm, musicality and coordination. Syncopated Shuffles focuses on the development of a strong technical foundation to support more intricate rhythms and footwork. Students in upper division classes work on improving speed, clarity, dynamics and the ability to execute increasingly complex rhythmic combinations. Students utilize fundamental technique to increase vocabulary, new steps, rhythms, patterns and combinations. Hip Hop 1 is a high-energy upbeat class that teaches young students basic hip hop skills and choreography. Hip hop dance combines jazz technique and street dance movements which support the development of overall body strength, flexibility and coordination. In this fast-paced and fun class students also have opportunities to explore spontaneous self-expression through movement. No suggestive movements or lyrics are used. Deep conditioning is gained by using core abdominal, spinal, hip and thigh muscle groups. The sequence of exercises lengthens, strengthens and corrects muscular and skeletal imbalances. Tricks and Technique Classes help students progress through a variety of tumbling skills and advancement in form and technique, specifically with leaps and turns. This class supports the development of physical strength, flexibility, power, agility, coordination, grace, balance and control. Designed specifically for dancers, the tricks and technique learned in this class can be applied to other dance classes.